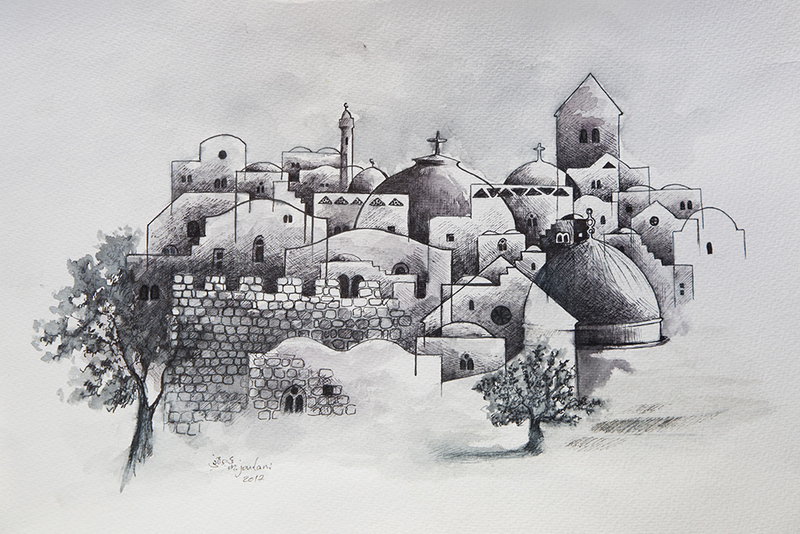 A unique portrayal of Jerusalem’s iconic skyline featuring the key sites of the Dome of the Rock and the Church of the Holy Sepulchre. Despite his self-effacing nature, Joulani is considered one of Jerusalem’s most promising young artists. A founding member of the Visual Artists Club of Jerusalem and a teacher of art, his passion revolves around themes of space, identity, freedom, love and hate. This Jerusalem skyline is part of a series by local artists depicting their home city and commissioned exclusively for the Levantine Gallery.